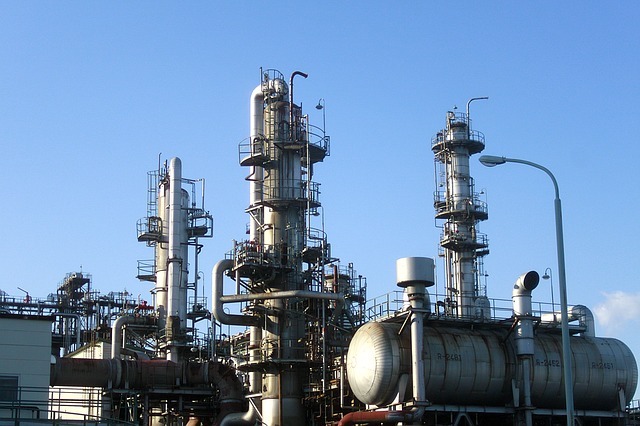 iHow: How does fractional distillation of crude oil work? 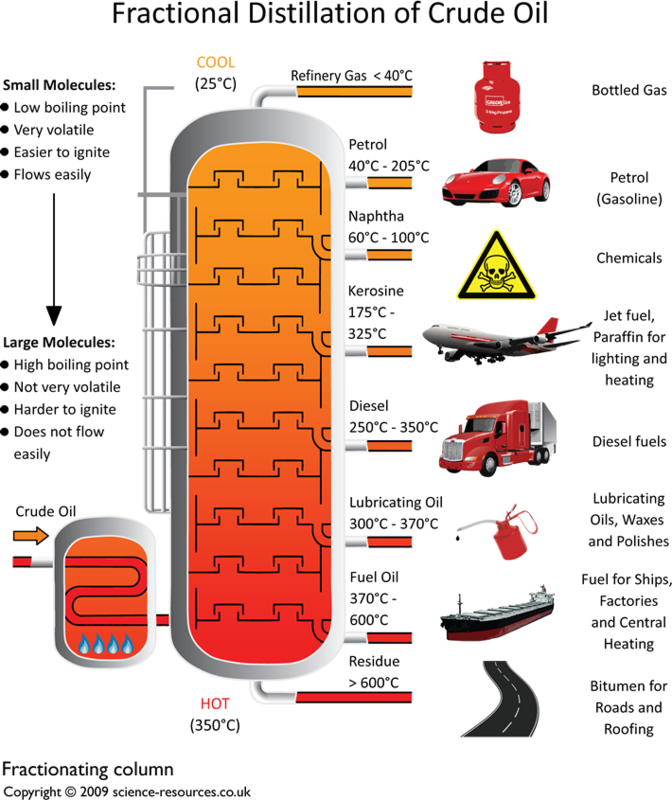 i-How: Science - How does fractional distilation of crude oil work? When crude oil reaches the oil refinery it is a thick black, smelly liquid. In this form, it is not much use to anyone. Crude oil contains mixture of hydrocarbons. At the refinery these are separated into fractions which are more useful. This is done by a process called fractional distillation. This process separates compounds by using the difference in boiling points. See diagram below. Click here to download an A3 printable version of this. Crude oil enters the fractionating column as gas. The column is quite hot at the bottom and cooler at the top. This difference in the temperature up and down the column sorts the different fractions from each other. The larger hydrocarbons, with the high boiling points, turn back into liquids at the base of the column and the smaller hydrocarbons stay as gases. They rise up the column and condense at different levels, as shown in the above diagram. At the top of the column there are a number of hydrocarbons with low boiling points - between 20ºC and 70ºC. These remain as gases. The discovery of the the crude oil has played a very big part in the development of modern life. It provides the fuel for most of today's transport as well as the raw material for making various chemical like PLASTICS. There are a few things you must know about hydrocarbons! Hydrocarbons come in all different shapes and sizes. Looks much darker in colour. Has high viscosity (i.e. it does not run easily). Gets less volatile (doesn't evaporate so easily). Small hydrocarbons molecules get used up very quickly as they are in very high demand, for example petrol. After distilling crude oil, one finds that there is a surplus of large hydrocarbons called ALKANES. There isn't much use for these heavy fractions. For example there is a greater demand for petrol than for diesel oil or lubricating oil. Petrochemists have found a way to make these large, less useful, heavy fractions into smaller, more useful one. The chemical process they use is called cracking.